How should parents explain the cycle of life to their children? 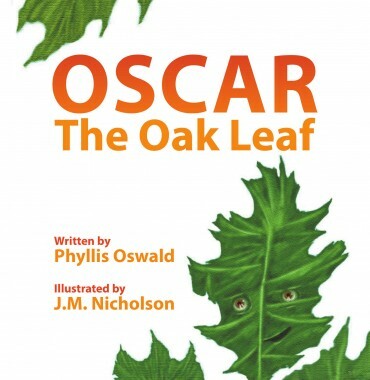 “Oscar the Oak Leaf” by Phyllis Oswald is a children’s book that addresses this need by helping young ones understand life in a fun and educational way. Beautifully illustrated by J.M. Nicholson, the book tells the story of Oscar as he navigates life as an oak leaf. Phyllis Oswald’s endearing children’s book explores the beauty of nature and also explains life and death without scaring or confusing its young audience. “Oscar the Oak Leaf” is now available at selected online bookstores. Book copies are available LitFire Publishing, Amazon, Barnes & Noble, and other online book retailers. Phyllis Keane Oswald married her husband, Dale, in 1955. After spending two years serving in the army in Virginia, they moved and settled in Connecticut. Phyllis used to work at different office jobs, but she decided to be a full-time mom after her son, Mike, was born. She decided to do volunteer reading for children and driving neighbors to their medical appointments as a member of Friends in Service Here (FISH). Phyllis and her husband ran their church’s Book Buddy program for the Windsor Head Start Children. She also enjoys spending time with her family, baking, photography, and tending to her yard.